"No other word for it: Shocking." Now that you've seen the Human Rights and the Drug War website, you can get a copy of the exhibit for you and your friends and family, in the form of two new books based on the award-winning project. 1999 Firecracker Alternative Book Awards (FAB) !!! 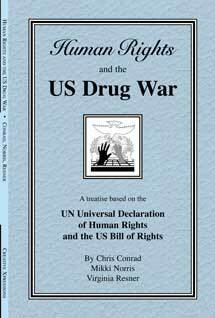 An unflinching look at the people and the human rights violations committed under the auspices of U.S. drug policy. 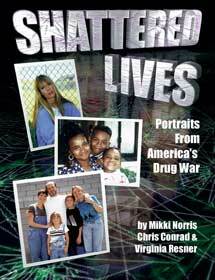 Pictures, stories and analysis based on the internationally acclaimed photo exhibit, Human Rights and the Drug War. Color cover, 128 pp, some color interior. (CA residents add 8% sales tax). A Treatise Based on the UN Universal Declaration of Human Rights.